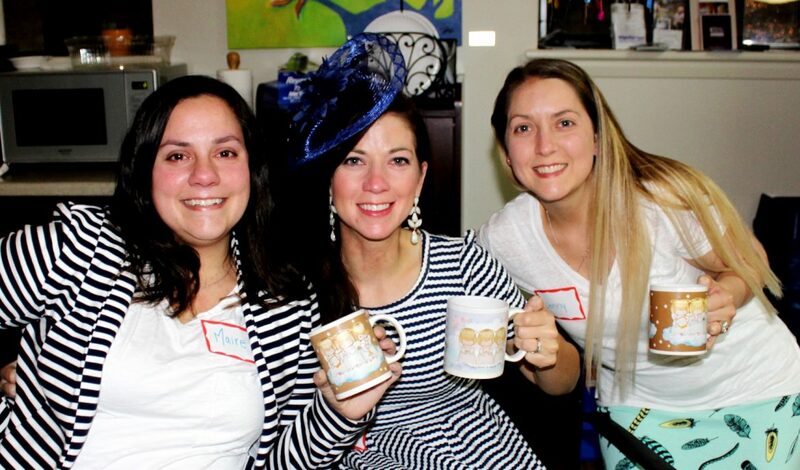 Pictured from left, Maire Duncan, Katie Kenny and Jennifer Carter, all of Glen Burnie, hold up mugs featuring three angels, their mother’s term of endearment for them. The three sisters took part in activities to help them cope with their recent loss during the Remembering Mothers Gathering hosted by Chesapeake Life Center. Mother’s Day for those who have lost a mother or a grandmother can be a difficult time. To help them prepare for the holiday, Chesapeake Life Center offers its annual Mother’s Day Tea so that women and girls can share memories of their mothers and grandmothers in the supportive company of others dealing with the same loss. This year’s tea will be held from 6 to 7:30 p.m. May 10, the Thursday before Mother’s Day, in the conference center of Hospice of the Chesapeake’s John and Cathy Belcher Campus, 90 Ritchie Highway in Pasadena. Women and girls ages 12 and older who are grieving the loss of a mother or grandmother are invited to participate in this reflective and healing gathering. The cost is $10 and includes tea and finger sandwiches. Guests can bring their own tea cups (BYOTC) to the gathering that remind them of their loved ones. Advance registration is required. To register, call 888-501-7077.